Every iOS device comes with the same white adapter, all Android devices come with their brand of USB adapter, and some tablets have proprietary ports with adapters. For people who have devices using USB as their charging source, Power2U has a solution that is so simple and smart that it should already be in every home. 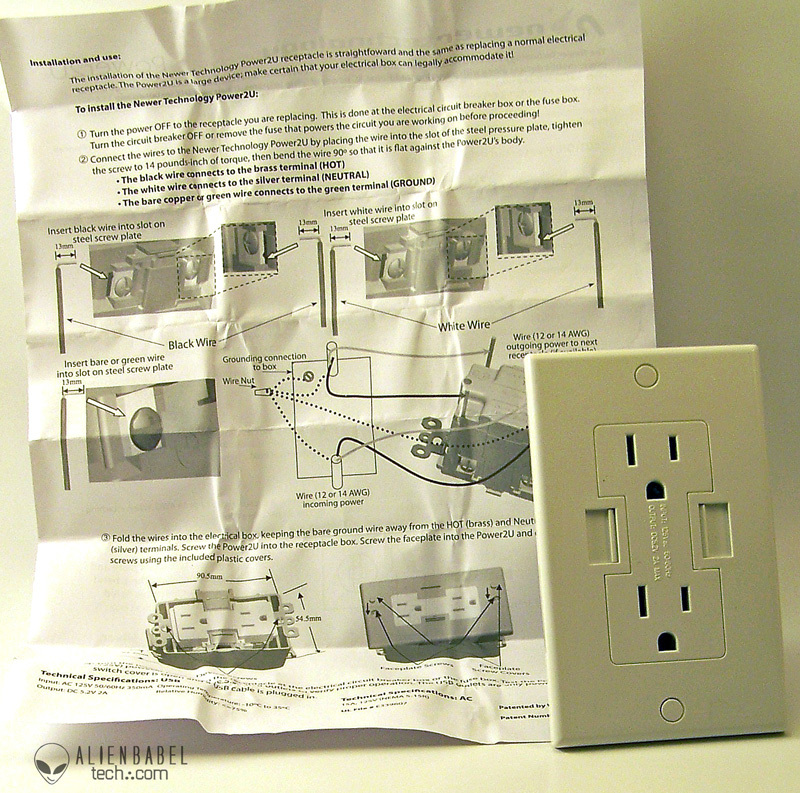 Power2U has successfully integrated USB ports with an electrical outlet. Essentially it eliminates the need for adapters by creating a central charging location for USB devices. Did you know that some USB chargers lack most of the required wattage and output to charge something like a phone quickly and efficiently? Take a look around the room and see how many USB devices you have. Power2U provides more than enough power to charge your devices quickly, while eliminating bulky adapters. Convenience is king and Power2U has built-in convenience. Power2U accepts USB 3.0 cables and is backwards compatible with all previous USB specifications. Power2U can also charge up to four devices using its USB ports which is more than enough in most cases. Power2U is the only UL certified device that includes USB ports. Being UL listed means that the AD/DC converter built into the unit has passed the Underwriter Laboratories' standards for electrical in-wall home products. Some insurance companies will reject your claim if an electrical fire was caused by a non-UL certified device like many other AC/USB products. NewerTechnology's specifications indicate that Power2U will fit into any 15 Amp circuit with a 16 cubic inch electrical box. It was a quick and very easy install that took less than 15 minutes, and the installation was very straightforward. Simply turn off the power before installation and measure your electrical box to Power2U's required size and begin installing. 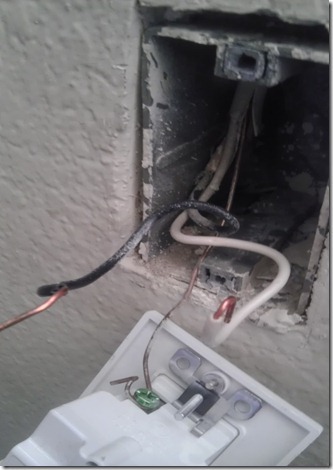 Usually there are 3 wires in an electrical box- green, black and white. Power2U includes a color coordinated screw for the green wire, a "W" indicator for the white wire, and the black wire goes on the opposite screw of the white wire. The box has notches that the wires fit into perfectly and they are tightly secured with the included screws. 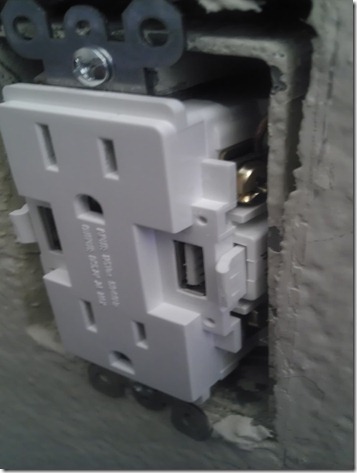 The face plate is next attached and everything is screwed securely into the wall. With no previous experience, it was an easy install and we could repeat the process quickly. If you're interested in a full installation video, one can be seen here by OWC. Power2U is an upgrade to any home, whether at your bedside or near a desk. Power2U adds a convenience factor that we would miss if it was no longer there. The finished product looks very nice and clean. 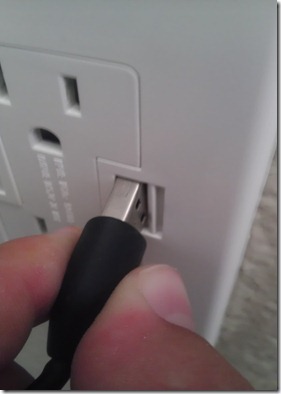 After a while it becomes natural to you and you miss the USB ports at other outlets. Power2U did a good job with the idea and the design is nearly flawless. As stated by NewerTechnology – The Power2U offers two energy efficient features in its design. The Smart Power design only outputs enough charging power required by the attached device, while spring-loaded Safety Shutters turn power off to the USB ports to eliminate "vampire" energy draw when the cable is removed, saving you energy and money. The USB ports are protected by mini-doors. These mini-doors should be easier to hold open for cable insertion instead of snapping back every time they are let go. The concept behind them is to save you from vampire energy draw, but they can require two or three attempts to open, until you learn how to slide in a cable from an angle. We believe Power2U helps remedy this ssomewhat with a notch on the door allowing the doors to open more easily. We learned this only after using the ports for some time; for people using Power2U for the first time, this could be a hassle. Power2U is available in ivory, black, and light almond colors and there are some really affordable prices for this product. For one unit, the price is $24.99; two units will cost $49.98, and they have bulk deals which can be seen here. They cost $25 at Amazon. Prices vary but they are well worth the investment. The Power2U wall outlet charged devices just like they would with a regular adapter, except your cable now plugs directly into a wall and charges at a faster rate than most other USB ports. 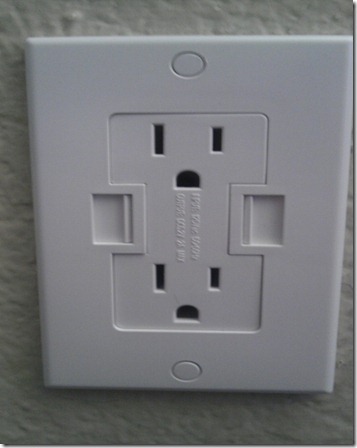 We expect that many future homes will be built containing outlets with this capability. We think Power2U is a must have for any new home. These are the first home-safe, fully UL-listed and approved product of its kind and they look modern and sophisticated in any home. The only minor problem we found is with the spring loaded shutter for the USB cables. It is sometimes harder to open than it should be without using two hands; one finger holding it open with the other trying to insert the cable. We think the spring-loaded door opening/closing problem could be easily remedied with some other mechanism of closing the door after the cable has been removed. Shown above is a photo of us sliding the cable by using it to push the door open. Power2U adds convenience to the room we installed it in. In the bathroom, it could make it easier to charge a phone before work. In the kitchen, it would make a great place to charge a tablet while cooking, and installed all throughout a home would be convenient. Power2U is such a smart and ingenious product, it baffles us that this has not been done sooner. We decided to move our room around to create an area for a table next to this outlet just for its capabilities. Instead of needing many worthless adapters, we now use just one Power2U. After having only one Power2U product, we started to wish there were more around the home. Power2U is a good deal at $25 and for what it gives you, it is priceless. This is a truly innovative and ingenious product that we love to use daily. Power2U has completely changed the way we charge our phone and other USB devices. 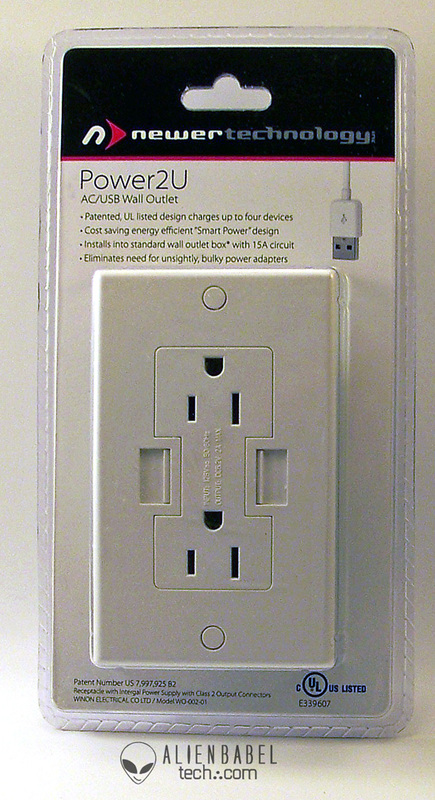 Power2U receives the ABT Editor's Choice award for home improvement and we consider this a must buy for any person looking to add USB outlets to their home.